Subtitles aren't going to save you here. For a country defined by romance, France sure do love their grisly horror stories. Defining what 'gore' really means with a back catalogue drenched in viscera, the New French Extremity cinema movement should be more aptly described as a sea of blood. 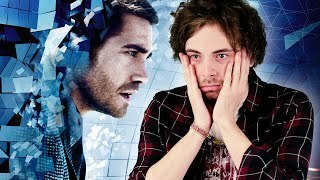 Maybe a bit dramatic, but hey, that lovely country full of delicious food and postcard views really does love blood like Britain loves gritty landscapes and cockney accents, and just... Danny Boyle, really. If you haven't spiced up your life with some scary French movies, then this is the place to start. With everything from undead monsters, to chainsaw wielding final girls, to the pursuit of the afterlife itself: just like the Parisian catacombs, there's something for everyone in the dark underbelly of France's haunted horror vaults. You just might have to turn your subtitles on to find it. Continually noted for its batsh*t twist ending, Haute Tension, or High Tension, or Switchblade Romance for us UK folk since we like to be different, is one of the French horror films that always circulates back into conversation. Marie and Alexia decide to spend a weekend away at Alexia's parents house, which all sounds pleasant enough, until the few days they'd planned on chilling out turn into a frenzied escape from a brutal murderer that wipes out Alexia's family and kidnaps her in the process. We've heard of better relaxing weekends really, to be honest. 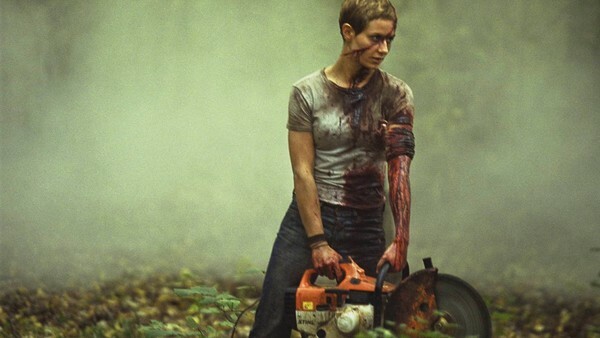 Ending on one of the most perplexing plot twists of all time, High Tension is a love-it or hate-it kind of deal, throwing everything into a confusing, alternative light by pulling a fast 180 that isn't signposted at all. If you're a fan of Shyamalan, Alexandra Aja had got a lovely French treat for you.